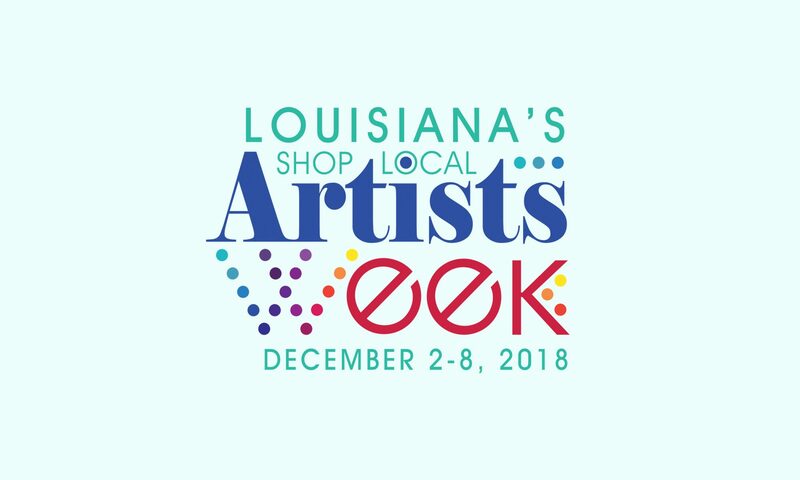 Our inaugural Shop Local Artists Week events, including St. Tammany’s Holiday Festival of Arts, took place December 3 – 9, 2017. Events are currently in the works for December of 2018. St. Tammany’s Holiday Festival of Arts registration forms should be available by October 15. Please note that white 10′ x 10′ tents are required for participation. Artists without tents may submit applications for consideration to St. Tammany Art Association’s Art Market, which will be held in Art Alley, concurrently with the Holiday Festival of Arts. Below is information from the inaugural festival, for reference only. St. Tammany artists may submit their work for consideration in St. Tammany’s Holiday Festival of Arts, a Shop Local Artists Week event. Space for arts organizations are provided on an invitational basis, to ensure that we represent all facets of the arts throughout the parish. In December of 2016, Northshore Cultural Economy Coalition spearheaded a local Shop Local Artists Week initiative in St. Tammany Parish, Louisiana. The event included visual artists and book signings by local authors, encouraging consideration of arts for holiday gifting. In 2017, Northshore CEC presented this initiative to Louisiana Senator Sharon Hewitt for consideration as a statewide event during the first full week of December. Senator Hewitt, along with Representative Greg Cromer, embraced the proposal, and what has resulted is Senate Concurrent Resolution 20, unanimously approved by both the Senate and the House. Click here to view SCR20. In 2017, from Dec. 3 to 9, communities throughout the state celebrated Shop Local Artists Week with festivals, art exhibits, performing arts, museum and gallery events, culinary showcases, literary art programs and more. To view event listings, visit the Shop Local Artists Week website and Facebook pages. We encourage you to join this celebration of the arts and artists, our state’s cultural treasures!